As a locally based company, we are able to provide a full range of highly efficient towing services to companies and private citizens in Malaga. Leveraging our knowledge of the area, together with our extensive experience in the business, we have helped countless stranded motorists over the years and transported a large volume of motor vehicles and heavy machinery to destinations across the city. 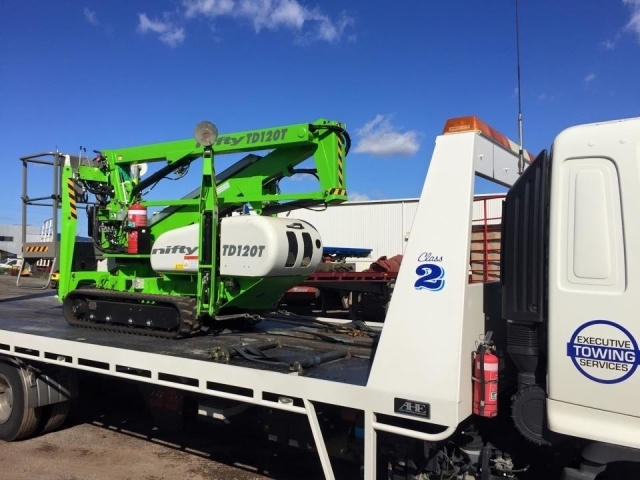 If you need to move a car, ute, truck or even an forklift or bobcat, call to let us know the details and we will make all the necessary arrangements for you. Make sure your vehicle arrives safely at its destination by letting the tow truck Malaga specialists take care of everything on your behalf. Why Choose Executive Towing Services? Competitive Rates – By streamlining our business processes and ensuring that our fleet of trucks is always in excellent working order, we are able to keep our running costs to a minimum and provide our customers with very competitively priced services. If you need a tow truck in Malaga but you want to make sure you do not pay over the odds, call Executive Towing Services right now to request an instant quotation. Immediate Assistance – Whenever you call us, you can look forward to receiving prompt assistance from our team of experienced professionals. As well as our standard towing services, we provide emergency breakdown recovery services to local motorists and we are always ready to swing into action at a moment’s notice. If time is of the essence and you need to move a vehicle across the city in a hurry, we are the company to call. Citywide Coverage – We don’t just provide towing in Malaga, we cover the entire Perth metropolitan area and more remote areas on request. Wherever your vehicle is located, we can almost certainly move it for you. Whether you need to move a car across the street or you are planning to transport an elevated work platform to the other side of the city, Executive Towing Services can make it happen. Attention to Detail – Some people may attribute our success in the industry to luck but we know it is our attention to detail that ensures our customers can rely on us to provide a first-class service at all times. We double check all the information we receive when accepting new jobs, which means we are able to guarantee punctual collection and delivery for all types of towing in Malaga. For an accurate estimate, please call and speak to us at your convenience. If you would like more information about our services or a firm quotation for a particular job, please do not hesitate to call and speak to one of our consultants during business hours. Alternatively, feel free to use the contact form on our site at any time.